Art dealer Stan Lauryssens made millions in modern art, but he sold only one name: Salvador Dali. The surrealist painter's work was a hot commodity for the newly rich, investors, and businessmen looking to launder their black-market cash. Lauryssens didn't mind looking the other way; he just hoped the buyers would look the other way as well. The artworks he sold came from some very shady sources. And he soon discovered that the shadiest source of all was Dali himself. The more successful Lauryssens became, the closer he got to Dali's inner circle, until he found himself living next door to the aging artist. 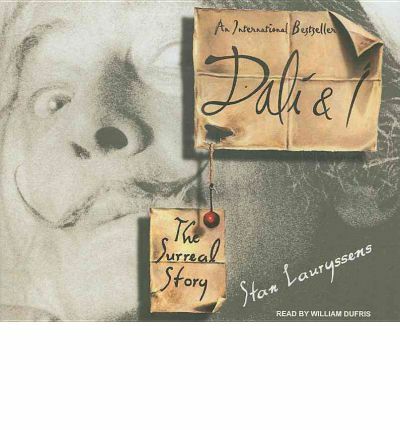 There, while Lauryssens hid from Interpol's detectives, he learned more about Dali's secret history, the studio of artists who produced his work, and the money-making machine that kept Dali's extravagant lifestyle afloat long after his creativity began to flounder.Dali & I offers a behind-the-scenes view of the commerce and conspiracy that can go hand-in-hand in the art world, written by a man who has been to the top only to discover it was no different than the bottom. About the Author: Lauryssens is a Belgian writer, one-time journalist and fine art dealer. Since the 1970s he has pursued an interest in Hitler's Third Reich and in the years that have followed.William Dufris have extensive experience on stage and screen.